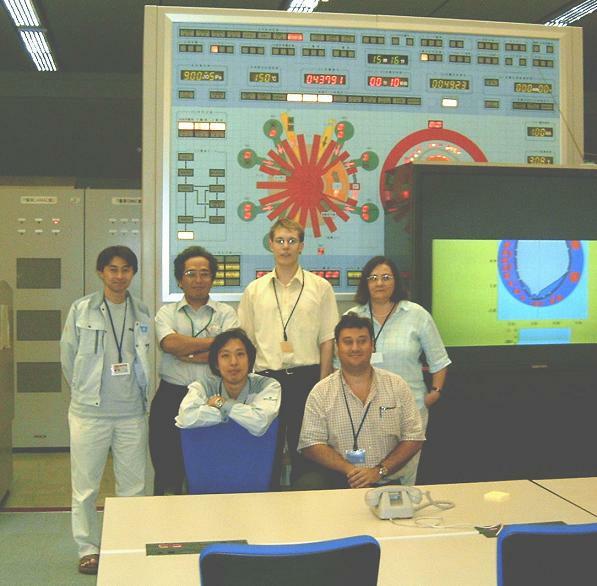 I would like to thank the JAERI staff for their great hospitality during my visit to Naka Fusion Research Establishment between 30 August and 24 September 2004. I very much appreciated the efforts of my hosts to make my stay as enjoyable and productive as possible. In particular, I would like to mention the very well-organized practical arrangements, which included the possibility to stay at the highly comfortable and convenient JAERI guesthouse in Tokai. The friendly and helpful atmosphere among the JAERI staff and among Japanese people in general also made an impression on me. Scientifically, I had a rewarding and productive four weeks of collaboration with the JT-60U team, which enabled me to return to JET with a deeper understanding of the intricacies of the JT-60U / JET dimensionless pedestal identity experiments. I very much look forward to continuing my collaboration with the JT-60U team on this interesting avenue of research, which is of crucial importance for ITER and other future burning plasma experiments.